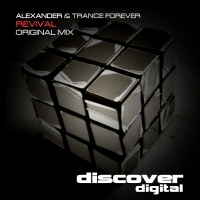 The kick and bass grab your attention from the start on this one as Trance Forever and Alexander collaborate in style with Revival. Fans of the classic 303 acid sound are more than catered for here but Revival is much more than just a kick and bass acid frenzy. Definitely something special for all trance lovers here. 'Revival' is available now from Beatport and iTunes.